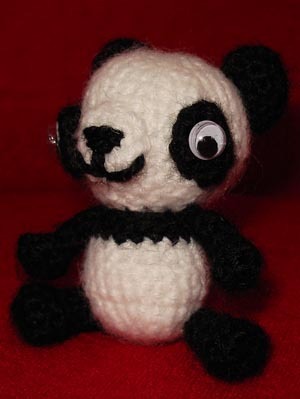 Here is a little cheeky panda to keep company to my little tiger. It took a while to make , because at the moment I crochet a fine doily, and a flower scarf for a CAL. So no pictures of that. What a cute panda... I love too see your doll.. can't wait.